1. He is a Law graduate. • Accredited Commercial Mediator though CEDR, the ADR Group & the Academy of Experts, who are considered to be the leading Mediation Training bodies in Europe. • Accredited Workplace, Employment and Community Mediator through UK Mediation. • Classed as an Elite Mediator with Clerksroom and currently position 28 out of 160, in the whole of the UK. • The youngest ever commercial mediator to qualify in the UK at the age of 23. 2. On the faculty of mediation tutors for the global organisation the Chartered Institute of Arbitrators for who he teaches, trains, (Chief Assessor) assesses potential commercial mediators, moderates & deals with appeals for, on all mediation related matters in the UK & globally. 3. Qualified in 2002, has 15+ years extensive mediation experience in face to face, telephone, court & time limited mediations. Mediated in excess of 500 civil, commercial, employment, workplace, family & neighbour disputes across every single dispute sector. • Specialising in all commercial disputes, including but not limited to, boundary, business, company, construction, contract, defamation, family, intellectual property, information technology,landlord and tenant, neighbour, professional negligence, property, shareholder, wills, employment & workplace disputes. • Mediated between two, multi parties & teams. • Was on the landlord and tenant deposit dispute mediation panel administered by the Tenancy Deposit Scheme when it existed. Mediated over 195 telephone mediations. 5. Value for money, flexible mediation fees, mediated values in dispute from a few hundred, to & in excess of millions of Pounds, Euros, US Dollars & Indian Rupees, mediated in several different jurisdictions. Covers the whole of the UK, as well as internationally, has mediated in Germany, Italy, Singapore, Cyprus, India, Turkey & Holland. 6. Fluent in Punjabi, understands Hindi & Urdu, regularly mediates with clients who can only speak & understand these languages. One of a select few in the whole of the UK who is a Punjabi speaking mediator, if you Google, Yahoo or Bing ‘Punjabi speaking mediator’ he comes up on page one at position one, on all three search engines! • Law graduate, LLB (Hons) 2001. • Academy of Experts Accredited Commercial Mediator, 2002. • Qualified Dispute Resolver, 2002. • ADR Group Accredited Civil / Commercial Mediator, 2006. • Chartered Institute of Arbitrators approved global faculty member, mediation tutor, accreditation assessor, trainer, (their Commercial Mediation training programme) & deals with appeals for, on all mediation related matters, here in the UK and overseas, which has included Ireland, Greece, Nairobi, Guernsey, Jersey, & Turkey, 2006 – to present. • Qualified Manager through the Chartered Management Institute, Level 5, 2006. • CEDR Accredited Commercial Mediator, 2007. • UK Mediation Accredited Workplace & Community Mediator, 2011. • Associate teacher & qualified trainer, holding the Certificate In Teaching in the Lifelong Learning Sector, Level 4, 2013. Experience, sectors mediated by category A – Z.
Boundary disputes – party wall, (appeals of party wall awards), rights of way, shared driveways / maintenance, fences, trees, high hedges, land & agriculture, land tribunal matters, adverse possession, restrictive covenants, injunctions, trespass. Construction disputes – technical construction defect claims, non-payment, extensions / penalty claims quantum, professional negligence, breach of contract. Contract disputes – breach of contract, contractual, economic loss & specific performance, Sale of Goods Act 1979, Sale & Supply of Goods to Consumers Regulations 2002. Defamation disputes – libel & slander disputes. Employment disputes – employment conditions, transfer of undertakings (protection of employment) regulations (TUPE), whistleblowing, contracts, pay, redundancy, compromise agreements, grievance and disciplinary procedures, unfair and constructive dismissal, absence, long term sick due to stress. Energy / utility disputes – Bristol Water, Environmental Agency, Eon Energy, Severn Trent Water, South East Water. Engineering (civil) disputes – design, construction, maintenance roads, bridges, canals, buildings, architectural, environmental, structural, transportation, water resources, materials. Family disputes – divorce, separation, contact, access, children, extended family, family businesses, pre-wedding, dowry, caste, mixed marriage, in law. Financial / bank disputes – Agco Finance, Bradford & Bingley, Cabot Financial UK Ltd, HSBC, Lloyds, Natwest Bank, debt recovery, unpaid invoices, banking & repossessions, insolvency, mis-selling of products, pensions & investments, regulatory, misrepresentation, allegations of fraud & breaches of fiduciary responsibilities. Governmental / public body disputes – Birmingham City Council, Environmental agency, George Elliot Hospital NHS Trust, / CGCS, Mendip District Council, Somerset County Council, Victim Support, University Hospitals of Leicester NHS Trust. Information technology disputes –data services, hardware, software, systems, hosting issues, intellectual property, disaster recovery, contractual breaches. Insurance disputes – breach of conditions, coverage, interruption of business, product liability claims, professional negligence, property damage, policy wording, warranty breaches. Intellectual property disputes – branding, trademarks, copyright infringement, passing off of trade goodwill, reputation, theft of intellectual property by competitors/ employees. Landlord & tenant disputes – repair, disrepair, rights, obligations, service charges, leases, rent, unlawful eviction. Neighbour disputes – harassment & racism, anti-social behaviour, noise, DIY, parking, children & pets. Personal injury disputes – clinical negligence, NHS Trusts, healthcare & pharmaceutical, care & residential homes. Professional negligence disputes – professional negligence, misrepresentation, incorrect advice, defective services. Property disputes – property, proprietary estoppels, land, planning, boundary, rights of ways, flooding, building & housing disrepair. Shareholder & partnership disputes – Companies Act, breach of warranty, director and shareholder, partnership, joint venture, family business, company / business. Travel disputes - sickness, delay, insurance claims, not fit for the purpose, misrepresentation. Third sector / charity disputes – volunteer employee, organisational, branch, management board / trustee, hierarchy. Wills & probate disputes – wills, probate & codicils, Trusts of Land and Appointment of Trustees Act 1996, Inheritance (Provision for Family and Dependants) Act 1975, contesting a will, validity / legitimacy, mental capacity, allegations of fraud / executors acting inappropriately, power of attorney. Workplace disputes – bullying, harassment (racial, sexual, disability), victimisation, reduced productivity, low morale, (hierachy) manager & employee, reasonable adjustments. "...complicated commercial landlord tenant dispute. I do not know how the claimant was encouraged to make an apology but assume that it was a consequence of your intervention…amounted to a remarkable result achieving a settlement within about 7 hours, dispute that lasted for over 3 years...second mediation concerned building work .... more impressive as it was a telephone mediation ... just as effective as a face to face mediation but at a significant reduction in costs." Sophie Biedla, Solicitor – Berrymans Lace Mawer Solicitors, Liverpool "Your input was instrumental to an agreement being achieved; within 4 hours you managed to somehow lead the parties to a solution". Rachel Sorensen, Solicitor – Wright Hassall Solicitors, Warwickshire "My clients were delighted how quickly you were able to facilitate a satisfactory settlement." Michelle Caney, Barrister at Law – St Ives Chambers, Birmingham "Without your assistance I am confident that we would not have been able to reach settlement." Stuart J. Frame, Barrister – Staple Inn Chambers, London " I would therefore like to thank you for your skill and help, and I would happily recommend you to other barristers, solicitors, and litigants in person." Gareth Jenkins, Solicitor – Standley & Co Solicitors, Solihull "... were delighted how quickly you were able to assist in facilitating settlement given the complexity and length of time the dispute had gone on." Ian Cox, Managing Partner – Sarginsons Law LLP, Coventry " grateful that this matter was not re-listed before the Court and that you were able to facilitate a satisfactory settlement of this dispute." Andrew Lund, Senior Partner – Rees Page Solicitors, Wolverhampton "… myself and my colleague were struck by the tenacity that you showed in dealing with one of the parties' whose position had become particularly entrenched." Elizabeth Spence, Lawyer – Pickering & Butters Solicitors, Stafford " My clients were pleased with the outcome, did not feel browbeaten in anyway which I have seen in other mediations, and are therefore happy with the result." Cliff Morris, Associate – Paris Smith LLP, Southampton " The Mediation was conducted quickly & concisely, taking significantly less than a full day, due to the timing and tempo provided by the Mediator." Mukesh Murria, Managing Director & Solicitor, Murria Solicitors, Birmingham "My clients and I were impressed with the resilience, pre-mediation preparation by you… we were impressed with your CV which bore fruition. I would happily recommend you to other law firms." Alex Kershaw-Moore, Senior Solicitor – Mendip District Council, Somerset "Neither my client nor myself had been through a mediation process before and we would like to thank you for your assistance in helping us to reach a settlement. My client found you to be very fair and willing to take time to hear all our issues - sometimes in great deal. believe that this helped diffuse any tensions that existed at the outset and assisted both parties in breaking free from entrenched positions to try and find a workable solution." John McArdle, Solicitor – McArdles Solicitors, Co. Durham "This was a professional negligence case where there was a significant amount of ill feeling and I felt you controlled the position extremely well... I was able to participate in the mediation by telephone which meant that my charge to the client was greatly reduced and in the end the matter was settled satisfactorily." Janette Johnston, Partner – Landons Solicitors, Essex "Should I need further assistance in the future, I will have no hesitation in recommending your services." Greg Saunders, Solicitor – Hadens Solicitors, Walsall "... a boundary dispute which had been ongoing for many years and which was headed inevitably towards very expensive litigation. I am pleased that this very acrimonious matter has now settled. Thank you for your assistance I would not hesitate to recommend you to other firms." Anthony Krikler, Solicitor – Gillhams Solicitors LLP, London "Thank you for acting as a mediator in this matter. I found you to be skilful and professional and your involvement certainly led to settlement of the dispute." Paul Balen, Partner – Freeth Cartwright LLP, Nottingham "…it would have ended up before the High Court in London for trial by jury. Your interpretation skills were clearly an advantage which was one of the reasons we chose you to mediate. My client was pleased with the outcome and that he can now lay this matter to rest." Helen O Brien-Quinn, Solicitor – FBC Manby Bowdler Solicitors, Telford "I genuinely believe that if it wasn't for your professionalism and assistance, the parties would not have settled on the day. My client was extremely pleased with the outcome, I will certainly recommend you to other solicitors." Jonathan Smith, Senior Associate – Eversheds LLP, Newcastle "Harvinder's quiet but determined approach was the difference between the case settling or proceeding to a litigious end. This was a classic example of how to mediate a dispute." Gurbinder Gill, Associate Solicitor – Eric Bowes Solicitors, Birmingham "Although negotiations were difficult... a satisfactory result was founded at mediation. I thank you for your assistance, without which a fair resolution would not have been achieved..."
Paul Verlander, Partner – Carpenter & Co Solicitors, Surrey "I was very pleased by your assistance in this matter having received a report back from Louise Campbell - Brown who was equally as complimentary. In fact, I have recommended your services to other commercial dispute clients…"
Natalie Wolfe, Solicitor – Beachcroft LLP, Leeds " …there appeared to be no solution in sight. Our clients and us would like to thank you for assisting the parties in coming to a settlement..."
Patrick Currie, Solicitor – Addison O Hare Solicitors, Walsall "I am satisfied that had it not been for the expertise that you showed throughout the Mediation process then this matter may well have not been resolved and may have continued to an expensive hearing." Victim Support – Yvonne Murray – HR Business Partner, Central England and Wales " I am pleased to tell you that your mediation has proved successful and that there has been positive feedback from the individuals concerned. Should the need arise, I would be happy to utilise your services again." Mr WDE Shipman, Chair – Central Mediation Services, West Bromwich "...You were involved in the resolution of hundreds of disputes ... I would have no hesitation to recommend you as a Mediator." Mr Abid Hussain, Manager – Aspects Housing Ltd, Birmingham "Both my colleague and I... were delighted how quickly you were able to facilitate a satisfactory settlement, bearing in mind the complexity and length of time our dispute had gone on..."
Karen Cheel ACIArb, Member Services Department – Chartered Institute of Arbitrators, London "His knowledge of the mediation process is commendable and he is a real credit to the CIArb." Mr Richard Foster, Operations Manager – Cousins Furniture, Dudley "With regards to the recent mediation you conducted between Cousins and one of our customers, I wish to thank you for your assistance... Similarly, we successfully settled a previous dispute you mediated for me in October 2003 and I would not hesitate to recommend you..."
Lloyd Kuber – Home & Away Estate Agents, London "I was the Part 20 Defendant in a landlord and tenant dispute... After an afternoons negotiations, and coming close to walking away without settling, a settlement was achieved, … it was a long afternoon, a 3 party dispute with 7 people for the claimants, and although I was not represented and the other 2 parties were you ensured that the process was even handed..."
J Mondair, Director – Kaymans Apparel Ltd, Birmingham "...Our solicitor, my partners and I, were impressed with your expertise and how quickly you grasped the issues in dispute, as well as the underlying not so apparent issues, which you subtly tackled at the appropriate times... due to your mediation skills we achieved all of our objectives." Mark Cutler – Himley Garden Buildings, Halesowen "I was more than a little worried that I would be intimidated into a decision that would have been unfair... However with your skills available to me, I believe that the correct result was found..."
John Connolly, CEO – MortonConnolly, Bristol "I wish to put on record our gratitude to you for the patience and time given in order to reach this settlement." Chris Benson, Principal Advice Officer – Sandwell Trading Standards, Sandwell "The cases were all of a consumer and or contractual nature and varied in value from a few hundred pounds to several thousand pounds. The feedback from the disputants was very positive and many commented that they would not have pursued their complaint without your assistance." Steve Khela, Managing Director – SMS Computer Solutions, Birmingham "Your down to earth approach, and the fact that you treated me like a human being rather than another case number was refreshing... This matter was resolved and concluded in a day which allowed me to focus on my business and not take up months of my time and the considerable expense of preparing for trial." Clare McKechan – CHBC Architects, Leamington Spa "...The dispute... had been going on now for a considerable period of time... we were delighted how quickly you were able to facilitate a satisfactory settlement, bearing in mind the position the defendant initially took." David Wilton – The Academy of Experts, London "...The Academy of Experts has appointed you as the lead Mediator on 14 occasions. All of these appointments have been Commercial disputes, and the nature of the disputes have varied from a few thousand to hundreds of thousands of pounds, and ranged from breach of contract, housing disrepair to probate disputes." Dr Peter Fenn, Commercial Mediator & Trainer – University of Manchester, Manchester "You are a real expert and I count you as one of the leaders in the Mediation field, I would have no hesitation in recommending you as a Mediator or Mediation Trainer." Peter Fitzpatrick, Solicitor, – Valemus Law, London "…thank you for bringing this three year dispute to a close within hours … claimant brought a sub lease which turned out to be a head lease…a fire damaged the premises…landlord refused to claim on the insurance policy…it was far from an easy matter." Michelle Caney, Barrister at Law & Deputy Head of the Chancery & Commercial Group, – St Ives Chambers, Birmingham "…You have mediated three different disputes in which I was instructed … on each occasion, all three disputes were resolved successfully… neighbour / property dispute…landlord & tenant… commercial landlord & tenant matter… an ability to grasp the fundamental issues quickly, develop trust & confidence & quickly build rapport. Your fees were also very competitive…"
Simon Thomas, Partner / Solicitor, – The Wilkes Partnership Solicitors, Birmingham "…my clients were very upset & sensitive about the dispute …hit an impasse more than once, including each side having made ‘bottom line’ offers. After some tense final negotiations, the parties reached a settlement (within five hours). I attribute that to the dogged determination with which you pursued a mediated agreement. You had previously conducted a mediation for a colleague in my team, which also resulted in a successful outcome. " Sarah Robinson, Associate Solicitor, Geraint Jones & Co, Newtown, Pows "My clients had never attended a mediation before & were quite apprehensive … you made them feel at ease … difficult & emotional day, which you assisted them through & somehow led them to a settlement … impressive it took you a day … this dispute had been ongoing for nearly three years…"
Daphne Thomas, Solicitor (non-practising), Former Employment Judge, – Advocacy Management, Hertfordshire "I am a former employment lawyer of 30 years, & employment judge…a complicated dispute…breach of contract between a company… insurance claim … I was impressed by what you achieved. It went beyond what a court might hope to achieve. This mediation was a master class…it gave me something to aspire to." Steve Redman, Director, Legal Adviser & Accredited Mediator, – Essmar, West Sussex "I observed you mediate a very complicated three-party dispute...a business acquisition … the situation became untenable… The parties were extremely difficult, driven by emotion & principles. It was a long day, with difficult conversations to be had, with both camps, which you did not shy away from, and handled sensitively, yet firmly … It is an understatement to say that your mediation skill set is impressive…"
Miss Bennar Aydo?du LL M MCIArb, International Lawyer, Arbitrator, Mediator, CIArb Management Member, Chairman Education & Membership Committee, Immediate Past Chairman CIArb European Branch, Turkey "You ensured that you conveyed all of your extensive expert knowledge … to the elite of the Turkish legal and mediation world…the delegates were Lawyers, Judges, University Lecturers / Professors, Arbitrators, some were also Mediators (who had already received CEDR Mediation Training), to include Mediation Trainers and the first ever Turkish Mediator… surpassed all of our expectations, a 100% pass rate, bearing that in mind we are planning on having another training session in 2017, which we want you deliver… built rapport very quickly … I freely endorse you as an expert mediator and mediation trainer. " Craig Kelly, Director & Solicitor, – CSK Legal, Birmingham "You have mediated for clients of CSK Legal on three separate occasions and that, on each occasion, settlements have been achieved … You had an ability to grasp the fundamental issues quickly, develop trust and confidence, and quickly build a rapport because of your firm, polite and professional manner." Alexandra Watts, Solicitor Advocate, – Wolverhampton City Council, Wolverhampton "I am grateful for your assistance on Monday for bringing this two-year long dispute to an end within four hours… you quickly understood the issues in dispute, bearing in mind you only had the mediation bundle shortly before you were due to mediate…"
John McCormack, Solicitor, – Terry Jones Solicitors, Shropshire “… company, business dispute over an oral contract between the parties concerning an exit strategy and purchasing of a business... year long dispute to an end within two and a half hours... "
Clive J Probert F.Inst.L.Ex,Legal Executive – Geoffrey T. Smith & Co Solicitors, Wolverhampton "Within 2.5 hours, you got both parties to an agreement … ongoing for 6 years... the client got back approximately 45% of his claim ... bearing in mind the defendant was initially refusing to pay anything ... "
Mrs Elizabeth Monether DipPFS, Independent Financial Adviser, – Shropshire Independent Financial Services Ltd, Shrewsbury “… vital in reaching an agreement … within 2.5 hours …I can move on with my life… not quite sure what you did or said to him in private, but it certainly worked, which led to an amount which I could agree to." Karys Eagle, Recruitment & HR, – Woodland Academy Trust, Kent “… complex workplace dispute… understood employment law & the way employment tribunals operate … who could mediate within 8 days… resolved this within 5 hours … had been going on for over half a year … got to us on time despite all the traffic … arranged the mediation within 2 days … now know why those organisations had written such glowing references…will certainly be engaging your services if the need for mediation should arise again." Mike Faulkner FCII CIP, Managing Director & Accredited Mediator, – MyForte Solutions Ltd, Warwickshire "… complicated finance dispute over a credit agreement … well-known large defendant finance company... going on for years … during the six hour mediation … helped him manage his expectations … reached a settlement they all found acceptable. " William Parkinson, Vice Chair, YMCA, Coventry & Warwickshire "…. within a few days you had the mediation set up, to include liaising with me over the weekend to ensure all was in place… our thanks for putting this sensitive dispute ‘to bed’ in less than one day … been going on for a considerable period of time… bullying, negligence, whistleblowing... not only were you the first to respond to our enquiry unlike some of your competitors, some who did not even respond … promptly set up the mediation … got the parties to settle. " John Woolley, Chief Executive Officer, Head of People, Culture & Governance, British Association for Counselling & Psychotherapy, Leicester "… number of issues … stemming from a number of new changes …. senior member of the organisation…Lack of trust, suspicion and alleged ineffective communication …. alongside underlying issues…overall, they found the process useful & constructive and you managed to resolve this year long dispute." Andy Winter, Chief Executive, YMCA, Coventry & Warwickshire "… strong personalities & miscommunication … which you quickly identified & very diplomatically handled… you used a great deal of tact, diplomacy and empathy … The solution helped the employees to work alongside each other one again." Mrs Jane Myers, ACEL, Chartered MCIPD, Human Resources,- Ministry Of Defence, Germany "…mediating our very complicated workplace dispute for the MOD Schools in Cyprus…four members of staff…bullying, disability discrimination, unlawful deduction of wages, a grievance, as well as an Employment Tribunal claim being lodged… your work mediating in different countries was of benefit …You made the parties feel at ease managing to build trust and rapport quickly…led them to a solution. " Olukayode B.A. Fabunmi, Director, – Business Law Academy, Nigeria "…the delegates were all senior government officers, lawyers & judges…we are grateful you wrote & delivered this bespoke training program for us at such short notice…a real expert in the mediation world, the training you delivered actually exceeded our faculties expectations … further training coming up in Dubai & Nigeria, which we will require your value input on. " Jo Holland, Chief Executive Officer, – Small Claims Mediation, Leicester "…you have mediated 195 telephone mediations … landlords, tenants and their agents… you mediated & resolved in 1 day a very complicated family dispute which had been ongoing for five years… father suing his daughter for £1,790,000 over properties, you conducted the mediation in Punjabi at times as the claimants first language was not English." 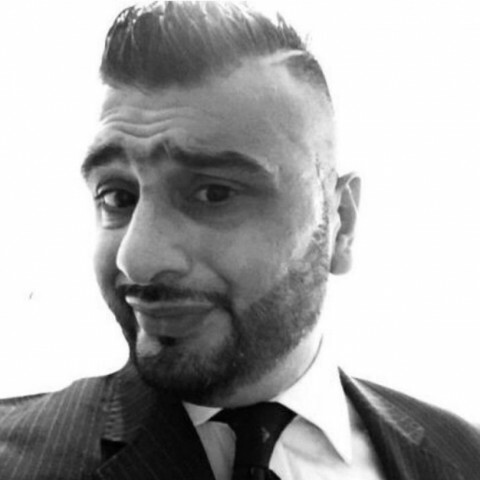 Rakpinder Singh Basra, Housing Officer, – Nehemiah UCHA Housing Association, Birmingham "… A highly sensitive matter…You were absolutely fantastic … …Having been let down by a different mediation provider … You are our choice of mediation provider." Daniel Johnson, Finance Director (UK) & Controller North Europe – Tremco Illbruck Limited, Wigan "… never attended a mediation before … a contractual matter … a commercial deal was done … saved us money, time … hassle … surprised at how quickly you got us to a solution…"
Equine dispute, Charitable Trust purchase of a horse, alleged defective, misrepresentation, £23,000, 4 hours. Workplace international charity, director & senior manager, dispute, discrimination, equality, bullying, victimisation, bias. Workplace & employment, global charity, director & senior manager, dispute, discrimination, equality, bullying, victimisation, bias. Commercial lease, property, business, probate, insurance dispute, value, £110,000 7 hours. Commercial contract, unpaid invoice, debt. Housing, anti social behaviour, landlord & tenant.